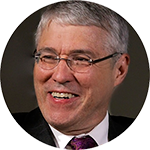 Dr. Steve Graham, Professor of Education at Arizona State University, answers questions about effective writing instruction, support for struggling writers, teacher professional development, and more. If your child struggles with writing, it’s important to find new and exciting ways to encourage her to write. Here are some creative strategies to try. Learn about the process of writing songs, from brainstorming to writing to rehearsing from children's author and songwriting coach Mary Amato. Listen in to science-themed songs written by first graders, and find out what parents can do at home to encourage songwriting and an ear for the elements of a song. Find out why it's a good idea for all kids to keep a diary, and get practical tips on writing and motivation for young writers from children's author and writing coach Mary Amato. Discover more than a dozen ideas for encouraging your child to write, including creative and simple ways to get the whole family involved. You'll also find out how WOW stories can help unlock story structure for young writers. Find out why it's a good idea for young aspiring writers to keep a journal, and get practical tips on journal writing from children's author and writing coach Mary Amato. She says, don't forget to bring a writing journal everywhere you go! In this webinar from the Center on Technology and Disability, you'll learn about assistive technology tools that support various steps in the writing process. Assistive technology (AT) can help kids with different types of writing challenges. AT tools can make the physical act of writing easier, as well as help kids who have trouble with spelling and grammar, and with organizing and expressing their thoughts. This guide provides an introduction to AT writing tools and where to find them. Dictation is an assistive technology (AT) tool that can help kids who struggle with writing. Kids can use dictation to write with their voices, instead of writing by hand or with a keyboard — helpful for kids with dysgraphia, dyslexia and other learning and attention issues that impact writing. Discover five graphic organizers that can help kids with dysgraphia, executive functioning issues, and other issues that can cause trouble with writing. Handwriting involves more than just making letters on a page — it requires strong fine motor and visual-motor skills. Here are some multisensory techniques to try if your child is struggling with writing. Children's magazines are a wonderful supplement to classroom instruction. Students are exposed to a wide variety of texts and lots of interactive content. From stories, poems, and action rhymes to nonfiction, crafts, puzzles, and games, kids’ magazines can offer an abundance of high-interest content to support your curriculum. This article explains how to create and use a daybook in the literacy classroom. Readers learn what a daybook is, how the daybook in one fourth and fifth grade classroom is structured, and how students in this classroom use that daybook during reading instruction to engage, record important information, and discuss a text. An effective way to begin the writing process is to focus on prewriting, which involves organizing ideas, setting goals, and exploring topics. Learn about technology-enhanced strategies to help students create a "road map" that can guide them through the writing process. Find out how to help your students improve their writing through activities and tools that support the drafting stage. Show your students how to use technology tools to create, revise, and store their drafts in a digital writing portfolio. Interactive writing is a dynamic instructional method where teacher and students work together to construct a meaningful text while discussing the details of the writing process. The writing demands of the Common Core standards require explicit and efficient teaching guidance, which is at the heart of interactive writing. 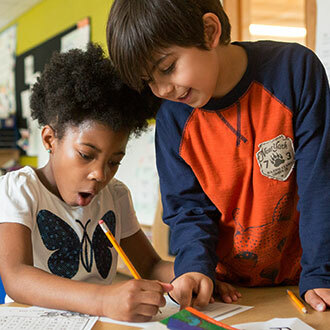 Learn four specific ways teachers can adapt this practice when working with children in grades 2-5 who are more developed writers. Just a few pages from your newspaper can be turned into lots of early learning activities. Here you'll find "letters and words" activities for the youngest, plus fun writing prompts and tips on how to read and analyze the news for older kids. Let’s face it: Not all kids love to write. For some, every step of the writing process is difficult — including spelling, handwriting and getting organized ideas onto paper. In this edition of Growing Readers, you'll learn more about dysgraphia and how you can support your child's writing. Is your school using the new Common Core standards? This is a big change for students — and their parents. Get to know the four "anchors" of the Common Core writing standards and simple things you can do at home to help your child build skills in all of these areas. Writing for an audience gives kids a reason to use their developing reading and writing skills. Here are some tips to get you and your child started with free, safe blogging sites. Providing young children with rich writing experiences can lay a foundation for literacy learning. This article presents a framework for individualizing early writing instruction in the preschool classroom. April 22nd is Earth Day, an annual celebration dedicated to environmental awareness. Discover five ways you and your family can participate in Earth Day while also practicing reading and writing skills. From activating prior knowledge to exploring language to capturing character, discover ten ways to integrate poetry into your language, reading, and writing lessons. Poetry is full of joy, expressiveness, and the pure delight of language. Explore how to introduce poetry to young readers, the value of nursery rhymes in learning about language, writing poetry in the classroom, great poetry books for sharing, and interviews with beloved children's poets. Visit our National Poetry Month section for more resources. As poet Carl Sandburg said, remember that with poetry you're stuffing "a backpack of invisible keepsakes." Sharing wordless books is a terrific way to build important literacy skills, including listening skills, vocabulary, comprehension and an increased awareness of how stories are structured. Give your students a chance to deepen and share their travel experiences through narrative writing, diagrams and illustrations, and the reading of all kinds of print (including maps, brochures and menus). Authentic reading and writing experiences help students connect what's happening in class to the real world outside. The winter holidays are a great time to create low-key learning opportunities centered around books, storytelling, writing, and family adventures. Calendars help young children learn the basics of the days of the week and the months of the year. Your family calendar offers opportunities for other learning as well, including vocabulary, sequencing, and math. This practice guide provides four recommendations for improving elementary students' writing. Each recommendation includes implementation steps and solutions for common roadblocks. The recommendations also summarize and rate supporting evidence. This guide is geared toward teachers, literacy coaches, and other educators who want to improve the writing of their elementary students. Dysgraphia is a learning disability that affects a child's handwriting. Children with dysgraphia usually have other problems such as difficulty with written expression. Learn more about causes, the importance of early assessment, dysgraphia and spelling, and effective instructional strategies that strengthen written language skills. Interactive writing makes the writing process visual to the whole class. Reading literature is an excellent way to initiate interactive writing in the class, and the teacher can continue using literature as the class does interactive writing with any new book that is read throughout the year. Research has shown the positive effects of improvised story dramatization on language development and student achievement in oral and written story recall, writing, and reading. Learn how to integrate story dramatizations into the classroom, using stories that students are familiar with. Oral history is a method to learn about past events from the spoken stories of people who lived through them. When students conduct oral history research with members of their families or community they are participating in active learning rooted in the student's own experience. Students are actively engaged in collecting data when they do oral histories. Not only are they learning history, they are learning to be historians. Almost every week there is a news story about a new finding or discovery in science. These news stories are one of the exciting steps in the science world: sharing what you find! Helping kids share their own scientific findings will make them feel like part of the scientific community. Using students' questions as a basis for investigations in science education is an effective teaching strategy. Not only do students pose questions they would like answered, but they are asked to find ways to answer them. This article also recommends nonfiction science books that use a question and answer format to find information and model how to communicate what you know. Keeping a science notebook encourages students to record and reflect on inquiry-based observations, activities, investigations, and experiments. Science notebooks are also an excellent way for students to communicate their understanding of science concepts, and for teachers to provide students with feedback. Literature-Based Teaching in Science: What's in the Sky? When students practice observing in science, they use their senses to collect information about objects and events related to a question, topic, or problem to solve in science. Learn some strategies to help students organize and analyze their data through presentations, sharing, and discussion. By reading and writing about the lives of real scientists, students can learn more about the nature and history of science and how important scientific discoveries were made. Students may also begin to see themselves as scientists by trying on scientists' lives for size. Teachers often find it difficult to integrate writing and mathematics while honoring the integrity of both disciplines. In this article, the authors present two levels of integration that teachers may use as a starting point. The first level, writing without revision, can be worked into mathematics instruction quickly and readily. The second level, writing with revision, may take more time but enables teachers to connect the writing process more fully with mathematics instruction. Six examples are provided, including student work, in which teachers have successfully attended to the goals of both writing and mathematics. This article presents a developmental framework of informational writing developed from a study of children's writing in K-5 classrooms. See examples of children's compositions at each developmental level, and learn how to use this continuum to support increasingly more mature forms of informational text. Browse our resources about the developmental stages of writing, effective classroom strategies, assessment, writing disabilities, supporting writing at home, and more. Music stories are compositions of a narrative or descriptive sort. 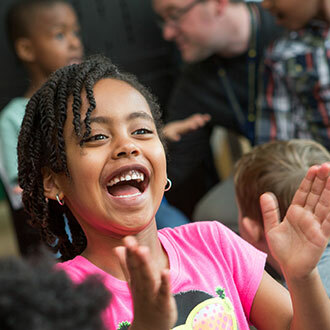 Students can listen for the story in the music, and this type of music can be integrated with literature, literacy, social studies, science, mathematics, and the other arts. Speech recognition, also referred to as speech-to-text or voice recognition, is technology that recognizes speech, allowing voice to serve as the "main interface between the human and the computer." This Info Brief discusses how current speech recognition technology facilitates student learning, as well as how the technology can develop to advance learning in the future. The framework provided in this article for viewing students' science writing offers teachers the opportunity to assess and support scientific language acquisition. 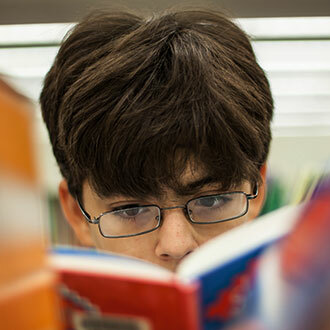 Learn how to teach children to write informational text through the use of focused read-alouds that include discussions of information book genre elements, features, and organizational structure. See examples of book compositions by second-grade authors that demonstrate how read-alouds can support young writers' genre knowledge development. An introduction to 6 + 1 Trait® Writing, customized rubrics, student self-assessment, and peer editing. Seuss silliness is contagious! Spread it to your classroom writing centers. While some young writers may struggle with traditional literacy, tapping into new literacies like digital storytelling may boost motivation and scaffold understanding of traditional literacies. Three types of struggling writers are introduced followed by descriptions of ways digital storytelling can support their development. Back-to-School Night is a great opportunity for families to learn more about their child's school and teacher. Here are some signs to look for that indicate your child is in a place where good reading instruction can take place. 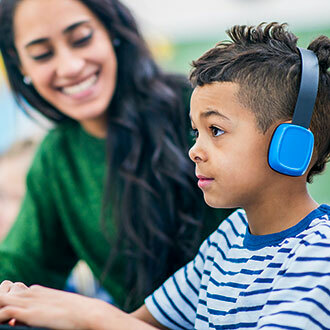 Learn about assistive technology tools — from abbreviation expanders to word-recognition software programs — that address your child's specific writing difficulties. Learn from an expert why some kids with learning disabilities struggle with writing and how some instructional approaches can help. Day trips, vacations and special outings create special memories and great learning opportunities for families. Here are a few "stops" to make before your visit to help your child get the most out of a family or school educational experience. This article discusses strategies for writing poetry with ELLs, presents an overview of poetry forms that can be used effectively in writing lessons, and suggests some ideas for ways to share student poetry. This article describes the theory and procedures (purpose, format, teacher prompting, and assessment procedures) for small-group writing instruction. Guided writing lessons are intensive, small-group activities that help create instructional support and interaction between teacher and students during writing. Learn what to look for as your child's handwriting skills begin to develop, as well as some signs and symptoms of dysgraphia — a learning disability that affects a child's handwriting and ability to hold a pencil or crayon. Teachers and parents should suspect dysgraphia if a child's handwriting is unusually difficult to read. Find out more about this neurological problem that can cause physical pain as some children struggle to write. When engaging in writing, young children often mirror what they see around them; adults and older children writing lists, notes, text messaging. They are observing the way writing is used in our everyday lives. Here are some simple things families can do to support young children's writing. Eli, a young boy, tells us what it is like to have dysgraphia. Regina Richards, a well-known expert on dysgraphia (and Eli's mom), explains how to help children who struggle with the challenges Eli describes. Practical techniques discussed include POWER: Prepare, Organize, Write, Edit, Revise. 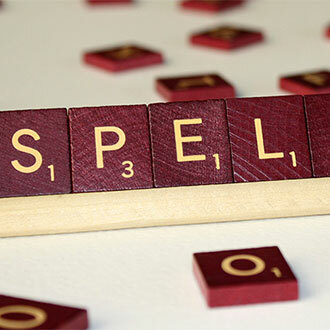 This list was created to help teachers know which spelling words should be taught to kids in grades 1–5. The list contains 850 words that account for 80 percent of the words children use in their writing — the ones they need to be able to spell correctly. Writing is a complex operation requiring knowledge of text structure, syntax, vocabulary, and topic, and sensitivity to audience needs; so it is not surprising that many teens find writing challenging. This article identifies the qualities of strong writing instruction, and offers advice to teachers for incorporating writing instruction into their practice, using tools like notebooks and journals, and sharing strategies that reinforce the importance of pre-writing and revision. Teach your students to avoid the avoidance of writing. 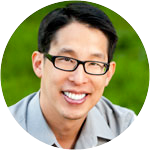 Learn how to lead them down the path of enthusiasm and self-confidence about writing through research-proven strategies. This article discusses one component of writing mechanics — finesse with sound/symbol correspondence. It describes a method, called Memory Foundations for Reading, that can be used by a parent with a single child or a teacher with a group and which helps children use many senses to recall letter sounds. This brief provides an overview of computer-assisted instruction and looks at how writing software can help students with developing ideas, organizing, outlining, brainstorming, and minimizing the physical effort spent on writing so that students can pay attention to organization and content. Writing is a highly complex language skill. Without skilled, systematic instruction, many students — particularly those with disabilities — may not become proficient writers. At stake is access to the general education curriculum. This brief discusses developmental stages, why writing may pose particular challenges for students with disabilities, and what areas should be the focus for remediation. Find out why writing is so important in our lives, as well as practical suggestions for activities to help your child become a stronger writer. Help students engage in reading and writing by asking them to write captioning for audio-less video clips. This article contains step-by-step instructions for using the technique as well as links to digital media and suggested teaching ideas. Newspapers expand the curriculum with an unlimited amount of information to use as background for learning activities. Discover new ways to use the newspaper in your language arts studies, with these activities from the Newspaper Association of America. During the holiday season, consider adding some new traditions for your family that will make meaningful memories and strengthen foundations for reading and learning success. Focus on reading readiness and enjoy winter holidays at the same time with these simple activities you can incorporate into your preschooler's daily routine. Letter writing can be fun, help children learn to compose written text, and provide handwriting practice — and letters are valuable keepsakes. This guide was written for England's "Write a Letter Week" and contains activities to help children ages 5–9 put pen to paper and make someone's day with a handwritten letter. Does your child want to write to his favorite author? Children's book author Mary Amato explains how. Dysgraphia is a learning disability that affects writing abilities. Learn the warning signs and strategies that can help. There are techniques for teaching and accommodating early writers, young students, or help yourself if you struggle with dysgraphia. Children take their first critical steps toward learning to read and write very early in life. Long before they can exhibit reading and writing production skills, they begin to acquire some basic understandings of the concepts about literacy and its functions. Writing is a new way for young children to tell their stories and express themselves, but they are also learning valuable lessons about print concepts and letter-sound relationships when they put pen to paper. Children can learn about family heritage at the same time they are improving their literacy skills. Using family-based writing projects, you can build a connection with parents, and help children see the value in their own heritage and in the diversity around them. Literacy activities can take on a new meaning when students are reading and writing about their own community. Children learn the true value of print when they document the oral histories of the elders in their town. This article discusses current research-supported instructional practices in reading and writing. It also reviews alternatives to ability-achievement discrepancy in identifying students for special education services, as well as introduces the idea that ability-achievement discrepancies should be based on specific cognitive factors that are relevant to specific kinds of learning disabilities rather than Full Scale IQ. Differentiated instruction, also called differentiation, is a process through which teachers enhance learning by matching student characteristics to instruction and assessment. Writing instruction can be differentiated to allow students varying amounts of time to complete assignments, to give students different writing product options, and to teach skills related to the writing process. Handwriting is a complex skill that is not often taught directly. It is not unusual for some students with disabilities to have difficulty with handwriting. These students may also have sensory integration problems. Handwriting Club is a format that provides direct instruction in handwriting combined with sensory integration activities. This article describes all the steps and materials necessary to organize and conduct a handwriting club. This paper presents six principles designed to prevent writing difficulties as well as to build writing skills: (a) providing effective writing instruction, (b) tailoring instruction to meet the individual needs,(c) intervening early, (d) expecting that each child will learn to write, (e) identifying and addressing roadblocks to writing, and (f) employing technologies. Find answers to frequently asked questions about writing instruction. Children go through phases of reading development from preschool through third grade — from exploration of books to independent reading. In kindergarten, children develop basic concepts of print and begin to engage in and experiment with reading and writing. Find out what parents and teachers can do to support kindergarten literacy skills. Children go through phases of reading development from preschool through third grade — from exploration of books to independent reading. In second grade, children begin to read more fluently and write various text forms using simple and more complex sentences. 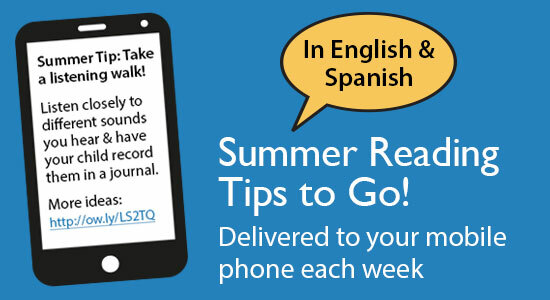 Find out what parents and teachers can do to support second grade literacy skills. Children go through phases of reading development from preschool through third grade — from exploration of books to independent reading. In first grade, children begin to read simple stories and can write about a topic that is meaningful to them. 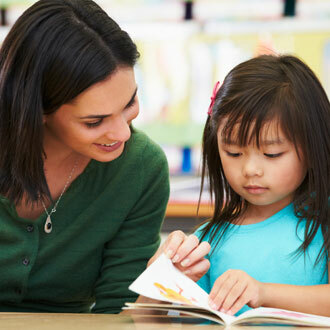 Find out what parents and teachers can do to support first grade literacy skills. Children go through phases of reading development from preschool through third grade — from exploration of books to independent reading. In third grade, children continue to extend and refine their reading and writing to suit varying purposes and audiences. Find out what parents and teachers can do to support third grade literacy skills. As children learn some letter-sound matches and start to read, they begin to write words and sentences. Seeing how words are spelled helps children in reading and writing. Doing activities with your children allows you to promote their reading and writing skills while having fun at the same time. These activities for pre-readers, beginning readers, and older readers includes what you need and what to do for each one. Student writing can be evaluated on five product factors: fluency, content, conventions, syntax, and vocabulary. Writing samples also should be assessed across a variety of purposes for writing to give a complete picture of a student's writing performance across different text structures and genres. These simple classroom help in identifying strengths and weaknesses, planning instruction, evaluating instructional activities, giving feedback, monitoring performance, and reporting progress. As children learn some letter-sound matches and start to read, they also begin to experiment with writing. These activities can be used with children to develop their writing and spelling abilities. In teaching second language learners how to speak and read English, it is important not to neglect their writing development. Here are some strategies for teaching ESL children to become writers. Students must be taught to write and then be expected to write for a variety of purposes to a variety of audiences, including in mathematics, science, and social studies. As part of building the writing prowess of students, they must write routinely, both short and long pieces. As part of a comprehensive writing curriculum, students’ writing fluency should be fostered, students should participate in lessons designed to build their composing skills, and students must learn to write from the sources that they read.